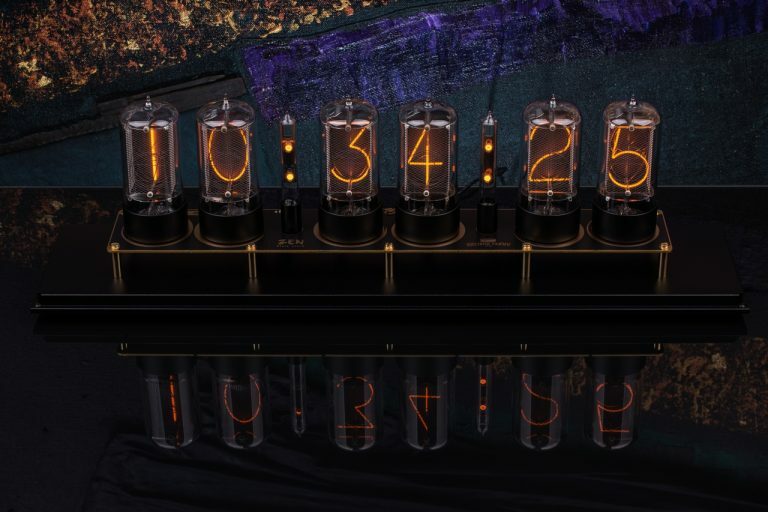 Our imaginative four-digit Puri Clock is powered by our handmade R|Z568M nixie tubes. 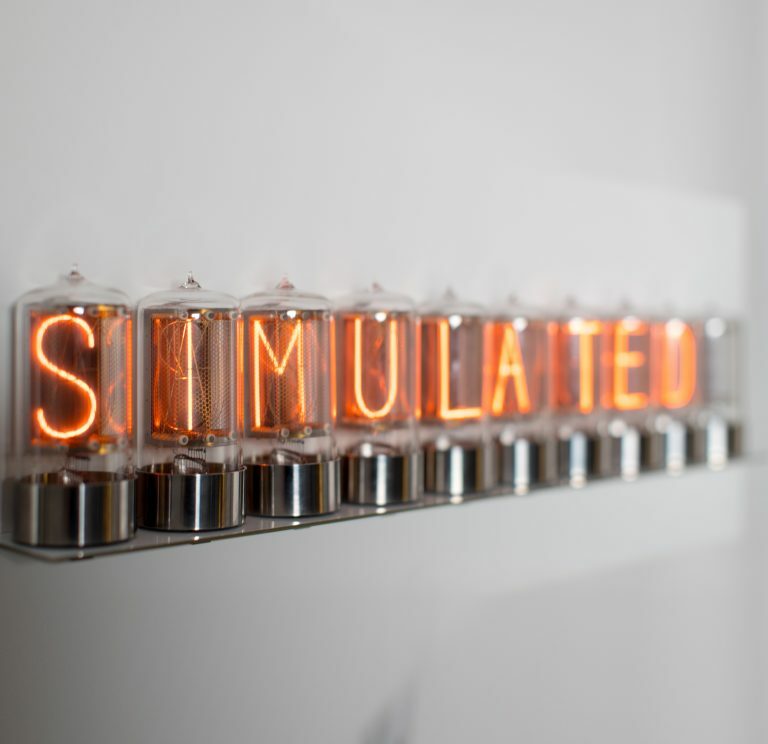 Its minimalist design combines a simple aluminum stand with stainless steel accents. 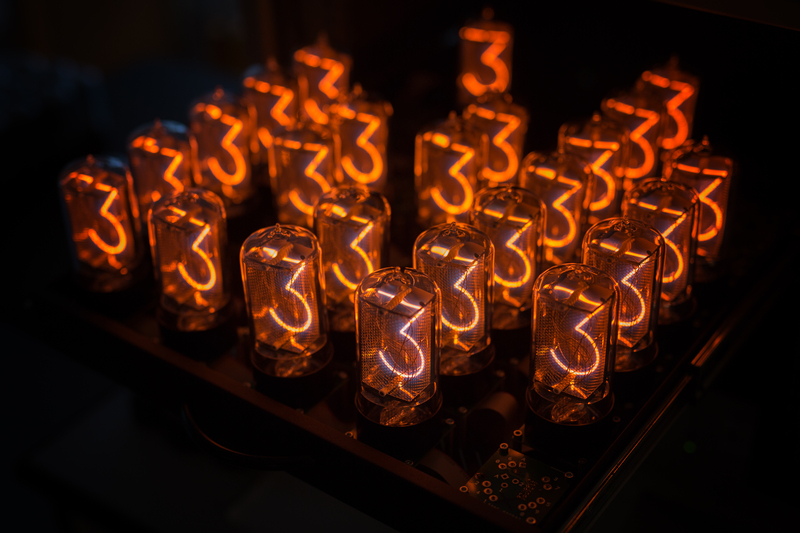 Nixies return after a 30-year wait. 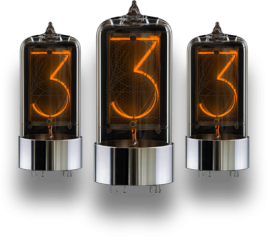 The last nixie tube was made in the early 90s, when this beautiful technology was replaced by lower-cost alternatives. 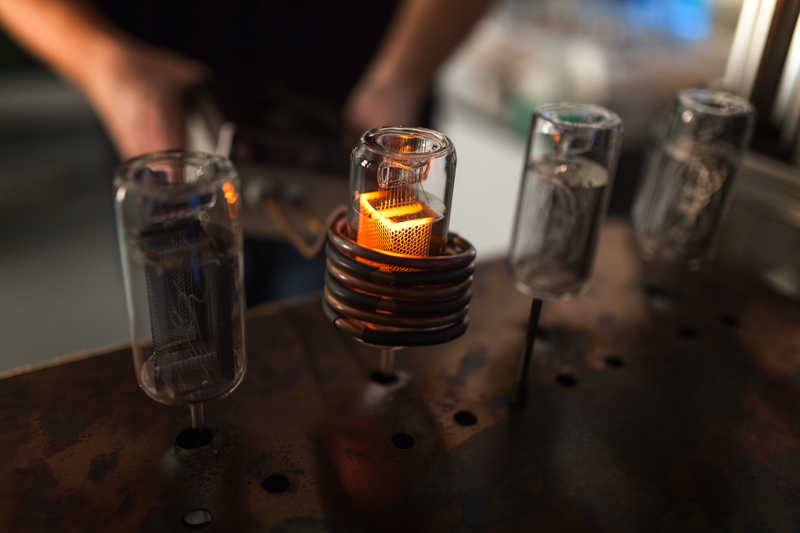 But production has now resumed in the Czech Republic. The distinct look and functionality of our Nixie tubes trail years of design, testing, and refinement. 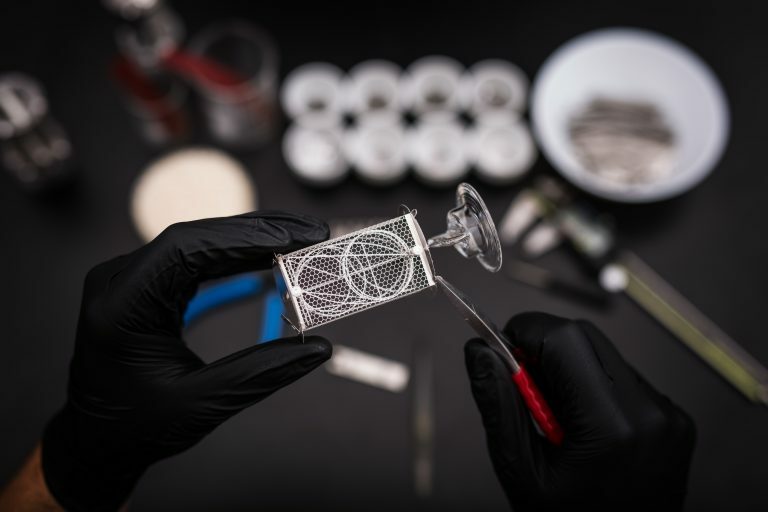 Each is produced in a laboratory setting, with hopes to one day employ large-scale production means to ensure access for everyone. 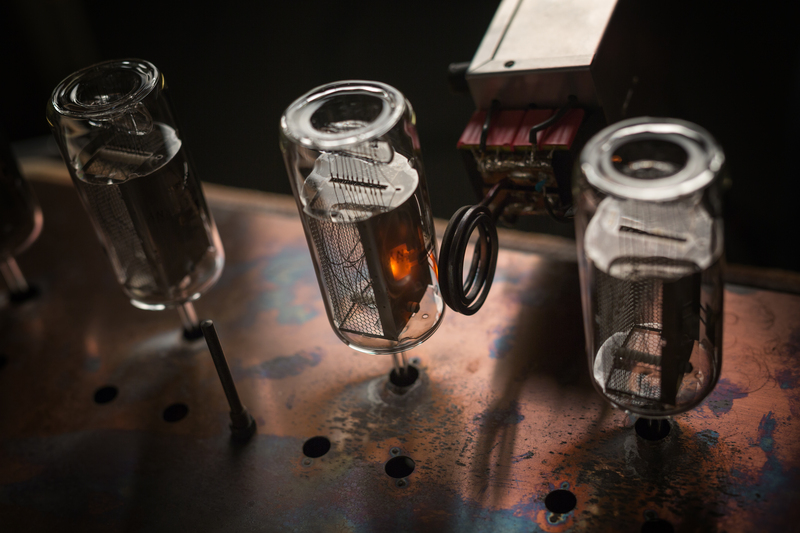 More than 3 hours of handcrafted precision are invested into each individual nixie. 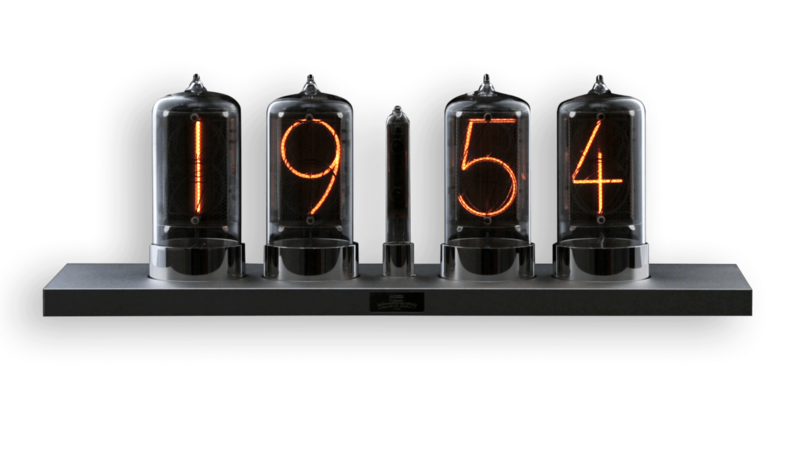 Digits are designed in the same look as original '70s nixie tubes. Hand made with attention to detail and long lifespan. 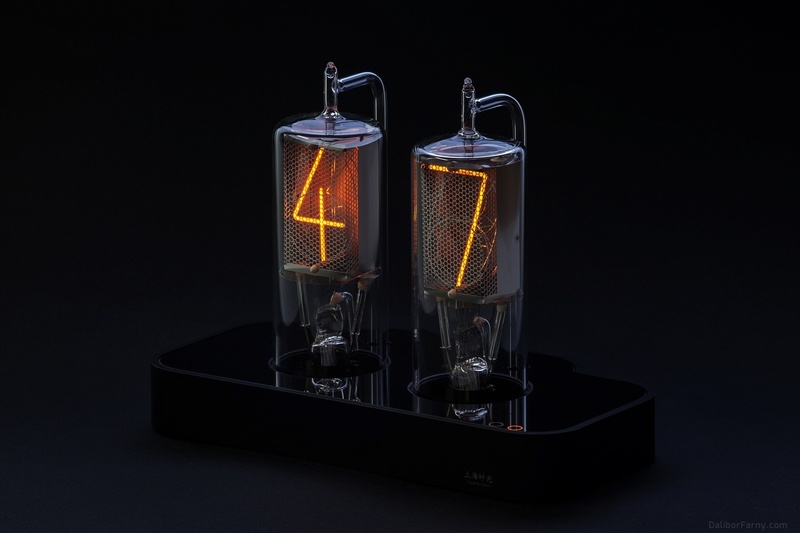 We love contributing to creative projects that highlight nixie tubes or similar experimental technology. 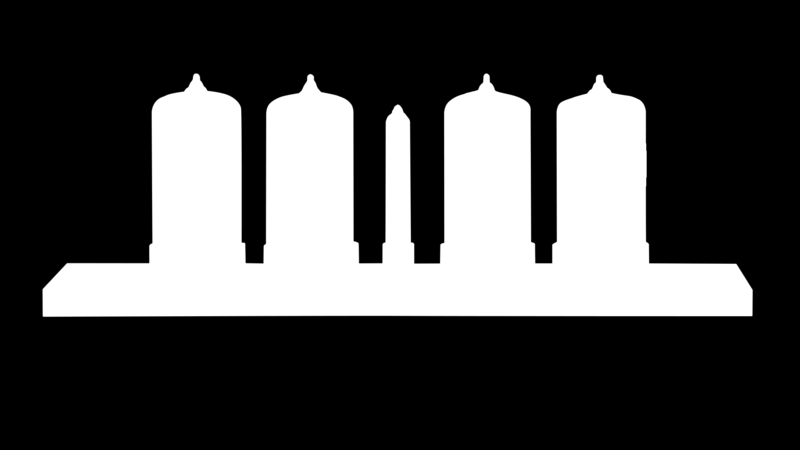 Flip through some of our earlier and current creative endeavors. 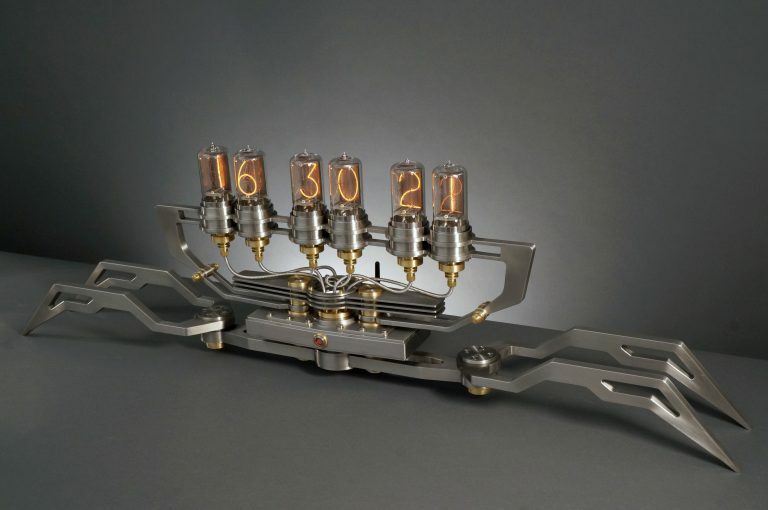 I’m Dalibor Farny and, for the past five years, my life's been all about nixie tubes.